This week, in theaters across the country, a new film is being released that I wish everyone could go and see. He Named Me Malala is the true story of Malala Yousafzai. Do you remember her? She's the Pakistani girl who was shot by the Taliban at age 15 for advocating for girls' education. She survived and is now a leading campaigner for girls' education globally as co-founder of the Malala Fund. Around the world 62 million girls are not in school today. The reasons vary from lack of schools to poverty to cultural mores. I believe in the United Nation's Universal Declaration of Human Right which states that everyone has the right to an education. I cannot even imagine growing up in a world in which I couldn't go to school because I was a girl/woman. But this remains the case for too many people. 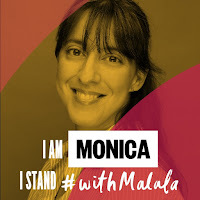 Malala was shot for daring to speak up and say that girls deserve to go to school. The Taliban thought that they would silence her, but in fact, they only shouted her message to the world. Malala recovered more determined than ever to fight for girls' education and her work has earned her the title of being the youngest person ever to win the Nobel Peace Prize. Today, her story is being released in 75 cities and special screenings across the country. 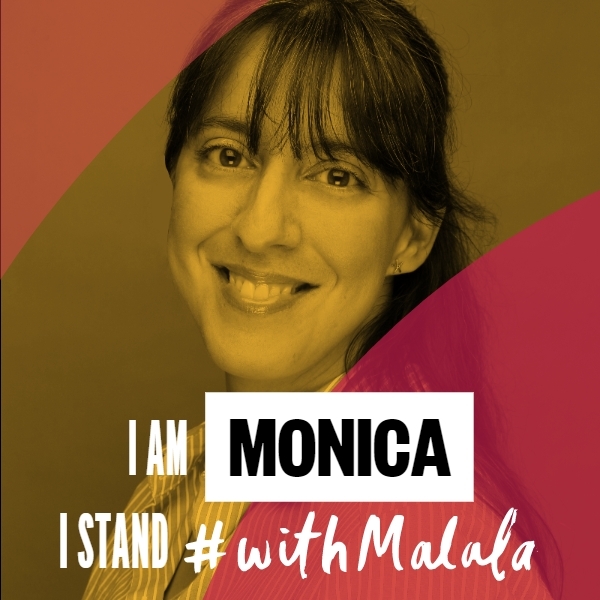 You can learn more about it here and create your own I Stand #withMalala image here. Educators who want to incorporate her story into their classroom lessons, can download the Toolkit here.